Matisse, homme du Nord, se partagea entre la région parisienne et la Provence, traversa les deux guerres mondiales, fréquenta Apollinaire, Aragon, Bonnard, Derain, Picasso et bien d’autres, voyagea de par le monde à une époque où quitter l’Hexagone était une aventure. Sa peinture, parfois qualifiée de décorative et longtemps jugée scandaleuse, est aujourd’hui l’une des plus aimées au monde. J’ai pris beaucoup de plaisir à lire cette face de l’artiste que j’ignorais complètement. Ce petit journal des journées, de ce quotidien de sa vie m’a conquis et je vous dis un grand bravo pour ce travail et son beau résultat, brillant. Comment vous remercier de votre biographie au galop… invention revigorante (…) J’ai passé un vraiment bon moment et vous remercie pour votre fraîcheur et votre audace. Matisse, who hailed from northern France, spent most of his life in or near Paris, or in Provence in the south. 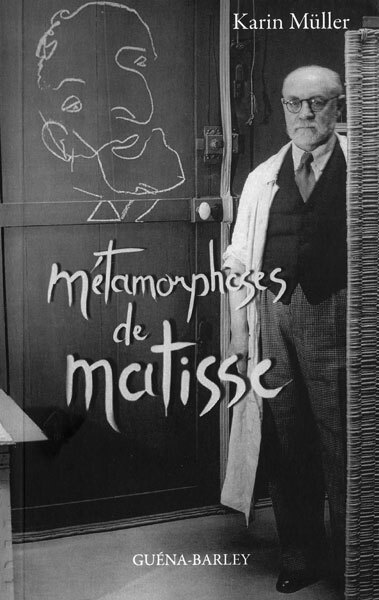 He lived through two world wars, counted among his friends artists such as Apollinaire, Aragon, Bonnard, Derain, and Picasso, and travelled throughout the world at a time when leaving France was considered adventurous. His painting, at times dismissed as decorative, and for many years seen as scandalous, claims its place today among the most admired in the world. Matisse wanted people to think his life was calm and peaceful. The truth was quite otherwise! This fascinating biography takes you straight into the extraordinary world of this father of Fauvism who broke all the rules of the academies to bring us his vision of life and his responses to light, and who once modestly declared “I am only a peintre”. « I greatly enjoyed reading about these aspects of an artist who was quite unknown to me. This little diary of his daily life and struggles quite captivated me. Here’s a hearty cheer for your efforts and the brilliant results ». “How can I thank you for your biography written with so much zest? …it was a real tonic …I really enjoyed myself and I thank you for the freshness of your writing and your enterprise”. Françoise Gilot, painter, author of Vivre avec Picasso.